Comparatively, annuity contracts and permanent life covers have different objectives. The annuities are more of safety nets; they are a financial cushion during the senior years to ensure there is a steady and reliable stream of income. As for the life insurance policies, these are to guarantee the financial security of your family or loved one in the event of your unexpected demise. While the above gives a precise definition of the two, most insurance companies will market these under the semblance that they are the ideal investments instead of looking for stocks and bonds. It is a marketing angle that works since the tax-deferred growth on most assets is often the main selling point the insurers use. But the experts seek to differ; they say that annuity contracts and life insurance policies may have the same drawbacks. They are expensive; they have high costs that often muffle the returns. In short, some financial products are virtually a more sensible investment for specific reasons, but this is not something that most sales reps are keen on making apparent. In most case, high costs often discourage people from given ample consideration to annuities. For some people, it is wise to seek financial protection for their senior years especially if they come from a family with many elderly members who are still alive. The lack of financial assets that you can enjoy in your 90s and 100s should see you consider a lifetime income stream. However, specialists suggest going for a cover that meets your needs. Buy term and Invest the rest is the strategy that many insurers advise their clients to consider. 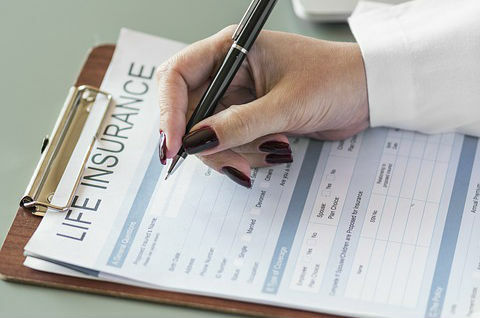 The tactic is to buy a low-cost term insurance policy and then use that remains (the additional costs of the permanent life premium) to finance a tax-advantaged plan like the IRA or the 401(K). The fee-based financial brokers and planners recommend this under the guise that of enjoying lower investment fees and tax-deferred growth. But then again cash-value policies will look more sensible more so if you maximize your contribution to the tax-advantaged retirement accounts. Even the, selecting a provider that charges a low fee and offers an extended time-frame would be the best option so that you can allow your cash balance to grow. Conversely, it is possible to get a cash-value policy from an irrevocable life insurance trust, which aids in reducing the estate taxes. Such a move is best for the individuals with high net worth. In essence, it is the trust that pays the premiums that excluding the policy as part of your estate upon your death. With the 2018 federal estate tax rate at 40%, the beneficiaries of the policies get a fatter inheritance using this witty strategy. Investing is investing, and insurance is insurance, that is the stand of some financial planners and advisors. But this is not necessarily so; people who have a high net worth can enjoy tax-advantaged uses from such, and the same goes for the risk adverse individuals even if the fees and administrative costs can have a negative impact on annuity and permanent life policy returns. In as much as any of the two may feel like a good fit, which they rightfully are; it is wise to beware of the annuity contract and life policy sales reps. Consulting with a reputable financial planner or advisor that is not affiliated to the insurance company to get unbiased advice is the highly recommended.